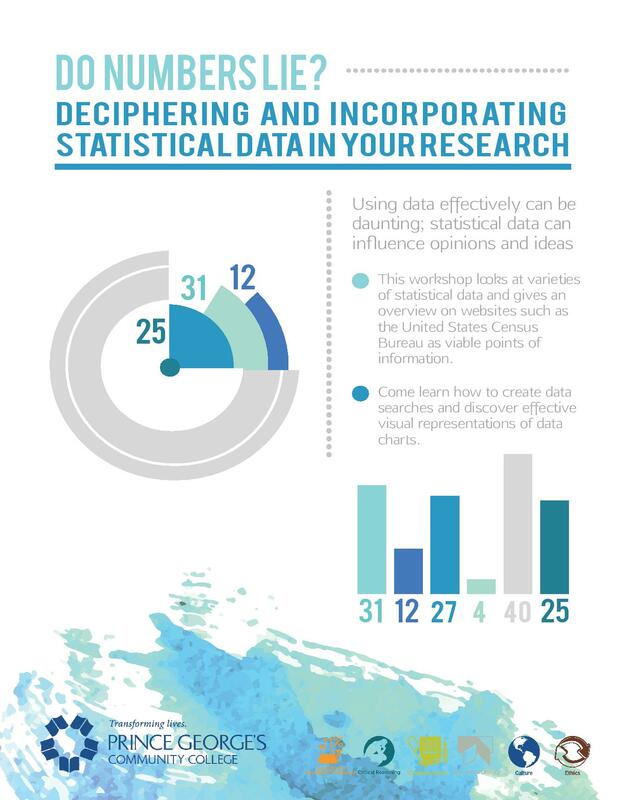 Using data effectively can be daunting; statistical data can influence opinions and ideas. This workshop looks at varieties of statistical data and gives an overview on websites such as the United States Census Bureau as viable points of information. Come learn how to create data searches and discover effective visual representations of data charts.